"A woman who doesn’t wear perfume has no future." - Coco Chanel. "A woman’s perfume tells more about her than her handwriting." - Christian Dior. PERFUME is a mixture of fragrant essential oils and aroma compounds, fixatives, and solvents used to give the human body, animals, objects, and living spaces a pleasant scent. The odoriferous compounds that make up a perfume can be manufactured synthetically or extracted from plant or animal sources. Perfumes have been known to exist in some of the earliest human civilisations either through ancient texts or from archaeological digs. Modern perfumery began in the late 19th century with the commercial synthesis of aroma compounds such as vanillin or coumarin, which allowed for the composition of perfumes with smells previously unattainable solely from natural aromatics alone. 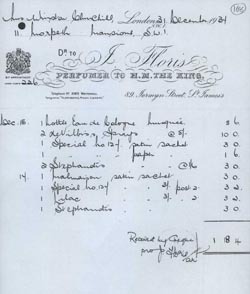 The traditional classification which emerged around 1900 comprised the following categories: Single Floral, fragrances that are dominated by a scent from one particular flower; in French called a soliflore. 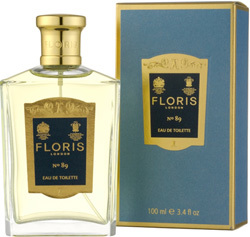 Floral Bouquet is a combination of fragrance of several flowers in a perfume compound. Ambered, or "Oriental", a large fragrance class featuring the sweet slightly animalic scents of ambergris or labdanum, often combined with vanilla, tonka bean, flowers and woods. Can be enhanced by camphorous oils and incense resins, which bring to mind Victorian era imagery of the Middle East and Far East. Wood, fragrances that are dominated by woody scents, typically of agarwood, sandalwood and cedarwood. Patchouli, with its camphoraceous smell, is commonly found in these perfumes. Leather, a family of fragrances which features the scents of honey, tobacco, wood and wood tars in its middle or base notes and a scent that alludes to leather. Chypre, meaning Cyprus in French, this includes fragrances built on a similar accord consisting of bergamot, oakmoss, patchouli, and labdanum. 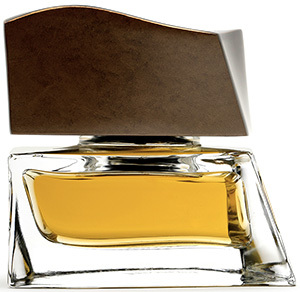 Fougère, meaning Fern in French, built on a base of lavender, onion, coumarin and oakmoss. Houbigant's Fougère Royale pioneered the use of this base. Many men's fragrances belong to this family of fragrances, which is not characterized by its sharp herbaceous and woody scent. 5 Ways to Smell Like the Beach - The New York Times. 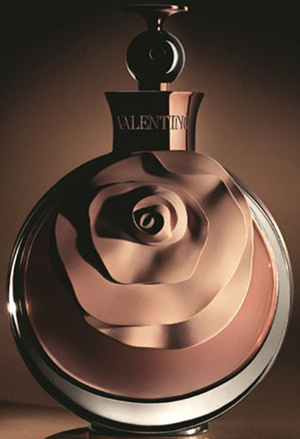 27 most iconic fragrances & perfumes of all time - The Telegraph. $1.5-million perfume set for exclusive show - "Le Monde sur Mesure, crafted by French company Morreale Paris, will be exhibited at luxury Los Angeles properties in November to a select guest list." A Bespoke Perfume Doesn’t Come Cheap - The New York Times. Aramis: the smell that just won't go away - The Telegraph. Atkinsons opens flagship boutique on Burlington Arcade - The Telegraph. Azzi Glasser: Would You Spend £15,000 On A Fragrance? - Vogue UK. 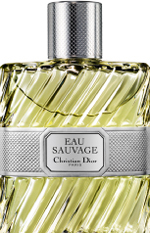 BASENOTES - "Independent online guide to 13,000+ fragrances, with articles, fragrance news, 80,000 fragrance reviews, and more." best Colognes - & why now's the time you need one - The Telegraph. Cannabis perfume 'set to become the scent of the summer' - The Telegraph. 'Clean' perfume - should you worry about what’s in your fragrance? - "Michelle Pfeiffer’s new line claims to be free of so-called ‘toxic’ substances. But what are they? Here’s what you need to know about your favourite scents." EAU DE COLOGNE - Wikipedia. essential guide to fragrance etiquette - The Telegraph. FIFI AWARDS - each year, The Fragrance Foundation celebrates the "FiFi," the "Oscars" of the fragrance world. FRAGONARD MUSEUM - Grasse, France. FRAGRANCE MUSEUM FARINA-HAUS - Cologne, Germany. FRAGRANTICA - comprehensive perfume guide. Grasse, France - "Grasse has had a prospering perfume industry since the end of the 18th century. Grasse is the centre of the French perfume industry and is known as the world's perfume capital." GUERLAIN: EAU DE LIT - bedding spray. Hair mists: The new way to wear your fragrance - The Telegraph. how fragrances help explain the world - The Guardian. How to Choose the Right Perfume or Cologne for You - "Choosing a perfume is tough, but the experts are here to help you find a fragrance that you’ll love for years." How to make your fragrance last longer - The Telegraph. How to Tell If You Smell - lifehacker. Inside the making of Louis Vuitton's first fragrance collection - Is this the world's most fashionable perfume? Johann Maria Farina - (1685-1766). 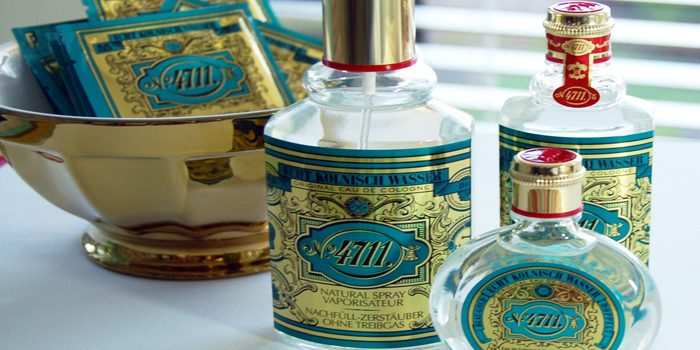 Italian perfumier who created the first Eau de Cologne. List of celebrity branded fragrances - Wikipedia. LIST OF FAMOUS PERFUMES - Wikipedia. LIST OF PERFUMES - Wikipedia. Listen to Marilyn Monroe talk about Chanel No. 5 - Telegraph. Lorenzo Villoresi Florence - personalized tailor-made fragrances. 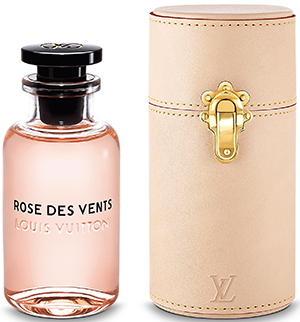 Louis Vuitton Travel Case - "In creating the Fragrance Travel Cases, Louis Vuitton applies its savoir-faire and mastery in custom-designing the perfect case for transporting and protecting each item of one’s personal belongings. The 100ML travel case conserves and protects your perfume bottle, closing securely with a buckle. Slip it into your bag in every situation.The 100ml travel case can also be personalized in store to the initials of your choice." 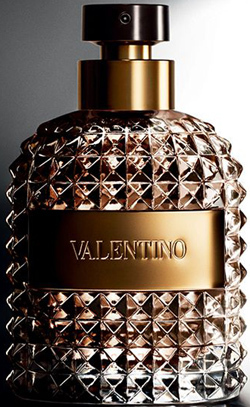 Louis Vuitton & Christian Dior Follow the Scent of Opportunity - The New York Times. MERCI - 111, boulevard Beaumarchais, 75003 Paris, France. Haute bespoke parfumerie. MUSEUM OF PERFUMES - Grasse, France. 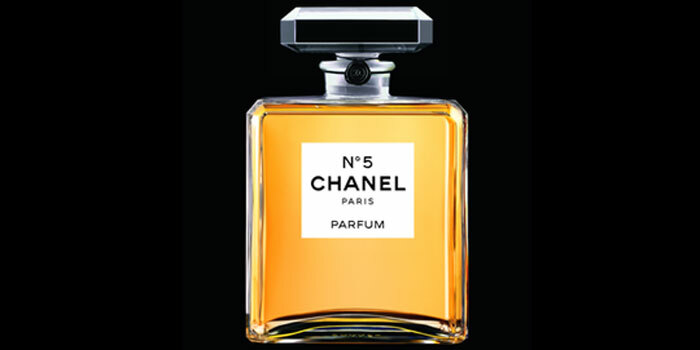 Note (perfumery) - descriptors of scents that can be sensed upon the application of a perfume. Notes are separated into three classes; top/head notes, middle/heart notes, and base notes. Officina Profumo-Farmaceutica di Santa Maria Novella - Florence, Italy. Founded 1612, one of the world’s oldest pharmacies and the creator of handmade colognes and unguents whose recipes have been handed down for hundreds of years. Olfaction - the sense of smell. Perfume: The Story of a Murderer - Amazon.com. ROJA PERFUMES BRAND SHOP - at Harrods, 87-135 Brompton Road, Knightsbridge, London, SW1X 7XL, England, U.K. Salon des Parfums - Cartier, 13 rue de la Paix, 75002 Paris, France. Haute bespoke parfumerie. That Perfume You Smell Everywhere Is Santal 33 - The New York Times. THE DIFFERENT COMPANY - customization program. THE FRAGRANCE FOUNDATION - an international source for historic, cultural, scientific and industry related reference materials. 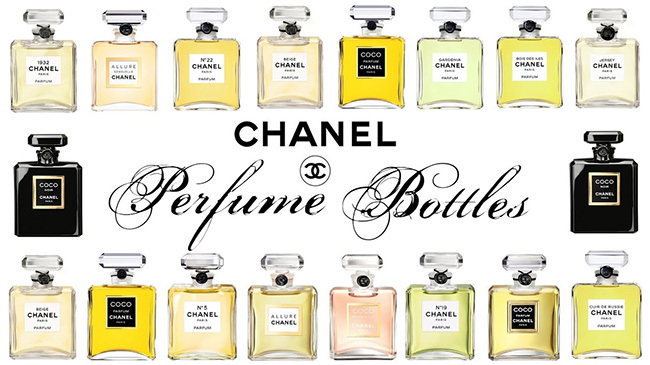 The most iconic fragrances & perfumes of all time - The Telegraph. 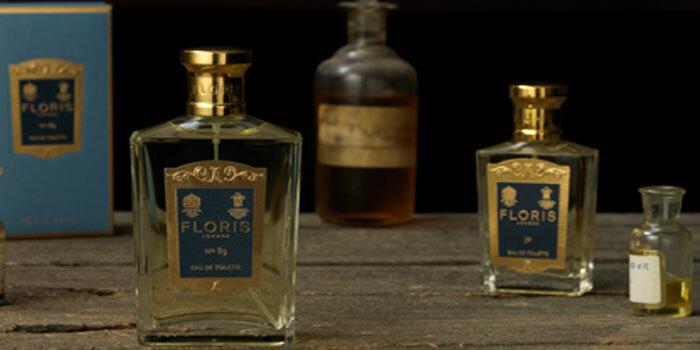 THE PERFUMED COURT - "The crown jewel of hand decanted fragrances." Perfume samples, perfume decants and vintage perfumes. Whale vomit, faeces & urine... what's really in your perfume? - The Telegraph. What is a fragrance oil & which are the best to invest in? - The Telegraph. World’s Most Dedicated All-Natural Perfumer - The New York Times. 'World's most expensive' perfume costs $1.3 million - "$1.3M perfume enters race for world's most expensive fragrance." 10 best fragrances for men - The Telegraph. 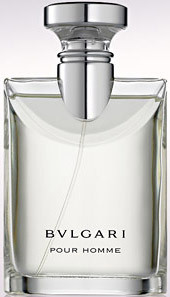 MEN'S FRAGRANCES AT AMAZON.COM - 41,647 products. 1 MILLION - by Paco Rabanne. ACQUA DI PARMA - since 1916. AĒsop's Tacit Eau de Parfum - "A contemporary interpretation of classical colognes." ALLURE HOMME - by Chanel. A*MEN - by Thierry Mugler. Formerly Angel for Men. ARPÈGE POUR HOMME - by Lanvin. BANG - by Marc Jacobs. BEL AMI - by Hermès. Bleu Royal - by Luigi Borrelli. 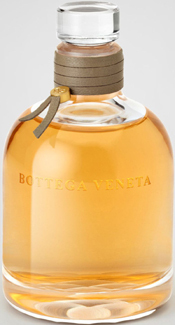 BOTTEGA VENETA - all fragrances. CLIVE CHRISTIAN - The Traveller Sample Set. COTY - the world's largest fragrance company. DIOR - All Men's Fragrances. 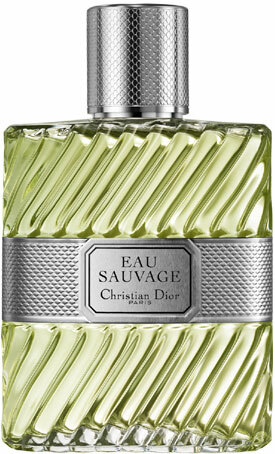 EAU SAUVAGE - created by Edmond Roudnitska for Christian Dior (1966). 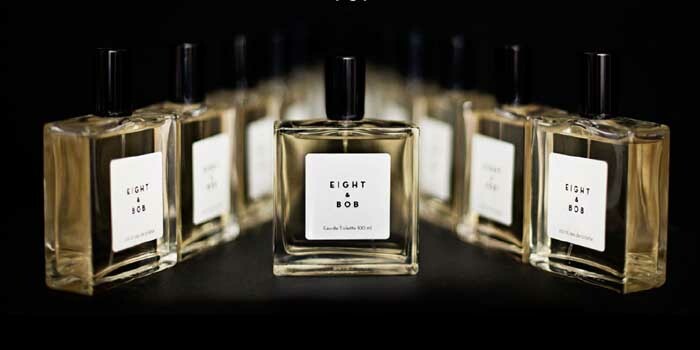 Eight & Bob - since 1937. El Cosmico - "The desert airs of Marfa, cosmic axis of West Texas. Creosote shrubs and sumac primed with Chihuahuan mesa woods - mesquite, oak, and pinyon pine." 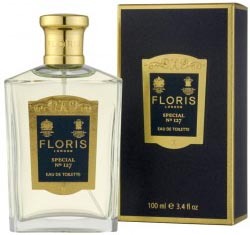 FLORIS SPECIAL NO. 127 - since 1730. A refreshing citrus blend of bergamot and orange with petitgrain introduce the heart of neroli, lavender and geranium in this floral cologne. Favored by Winston Churchill. FUOCO NERO - Italy's Finest Men's Necessities. Geo. F. Trumper - The Mayfair Shop, 9 Curzon Street, London W1J 5HQ, U.K. "London's Favourite barber, hairdresser and perfumer since 1875. Geo. F. Trumper is recognised as the finest traditional gentlemen's barber in London and is known throughout the world for its matchless range of gentlemen's fragrances and grooming products." GIVENCHY - Gentlemen Only. "Be A Gentleman Anytime, Anywhere." HERMÈS - Le Jardin de Monsieur Li. HUGO BOSS - all men's perfumes & colognes. HUNTER 40ml eau de parfum - "With tobacco absolute, organic Bourbon vanilla and balsam fir, this fragrance is best worn with a flannel shirt." ICE MEN - by Thierry Mugler. JAZZ - Yves Saint Laurent. Jean Paul Gaultier - all fragrances. JEAN-PAUL GAULTIER - Le Male Terrible. Joya’s Composition No. 1 - “It smells like you are coming out of a shower.” Available only in oil form, the unisex perfume, created by the perfumer Rayda Vega, places an emphasis on intimacy. KORLOFF Paris - since 1978. 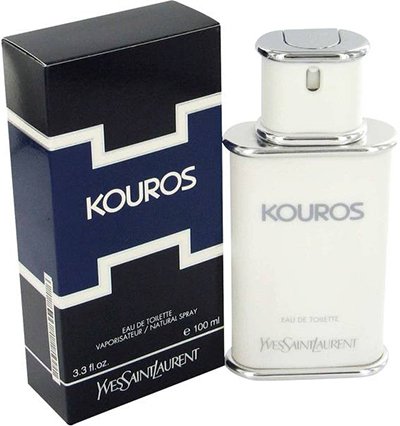 KOUROS - by Yves Saint Laurent. 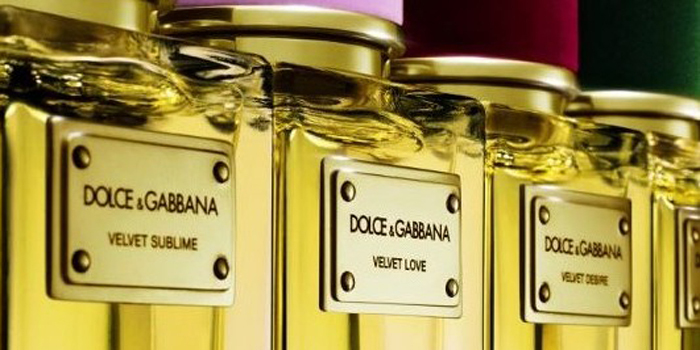 LA FORCE - by D&G. LA NUIT DE L'HOMME - Yves Saint Laurent. 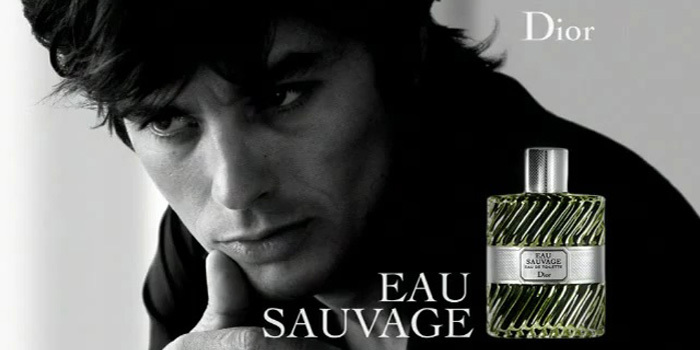 LE BATELEUR - by D&G. Louis Vuitton Perfume - since 1854. "Les Parfums Louis Vuitton." LUIGI BORRELLI - Bleu Royal. LUIGI BORRELLI - Luxury Vintage 57. Maison Francis Kurkdjian - founded in 2009. MANDRAGORE - by Annick Goutal. MICHAEL KORS - men's eau de toilette. NO. 89 - by Floris. The quintessentially English gentleman's fragrance. Devoted followers include Ian Fleming. 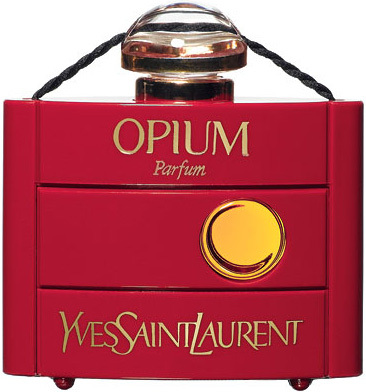 OPIUM POUR HOMME - Yves Saint Laurent. PENHALIGON'S Scent Library - "Our Scent Library for men and women offers the ideal introduction to the Penhaligon's fragrance range. 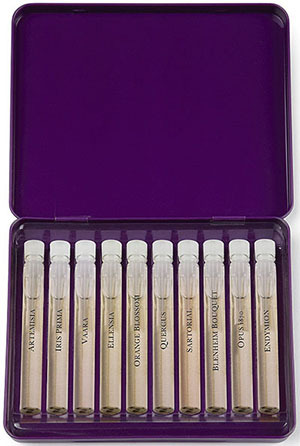 Each set contains 10 x 1.5ml samples of our most popular scents." POLO - by Ralph Lauren. POUR MONSIEUR - by Chanel. RALPH LAUREN - all fragrances. SAFARI - by Ralph Lauren. SANTA MARIA NOVELLA - creator of colognes and unguents whose recipes have been handed down for hundreds of years, all of the products are still handmade in Florence. STEFANO RICCI - Eau de Parfum. All models. STEVE & CO. - Victorian Lime After Shave No.74. TAYLOR OF OLD BOND STREET - since 1854. TRUEFITT & HILL - established 1805. TUSCAN SOIL - by Salvatore Ferragamo. Van Cleef & Arpels - Pour Homme. XS - by Paco Rabanne. WOMEN'S FRAGRANCES AT AMAZON.COM - 89,157 products. 24, FAUBOURG - by Hermès. A TASTE OF HEAVEN - by Kilian. AIRE LOCO - by Loewe. ALIEN - by Thierry Mugler. AMOUAGE - niche luxury fragrance house that draws inspiration from its birthplace of the Sultanate of Oman. Amouage perfumes are created by internationally recognized perfumers in Grasse in the South of France. ANGEL - by Thierry Mugler. 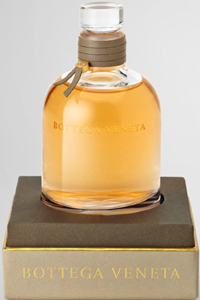 ANTICA FARMACISTA - "The Art of Fragrance: Luxury and Indulgence for the Home and Body." ATTIMO - by Salvatore Ferragamo. BACK TO BLACK - by Kilian. BAL À VERSAILLES - by Jean Desprez. BELLE D'OPIUM - Yves Saint Laurent. BERGAMOTE - by The Different Company. BEYOND LOVE - by Kilian. CHANEL - since 1921. All models. CHANEL NO. 5 - launched on May 5, 1921. World's best known perfume. 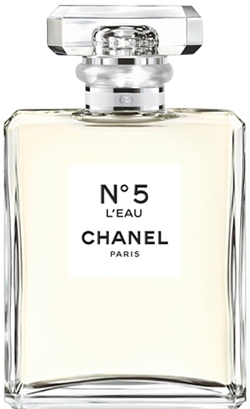 The first synthetically created fragrance in history; every three seconds a bottle of Chanel No. 5 is sold; the most succesful perfume in history. "A bouquet of abstract flowers is how Gabrielle Chanel described No. 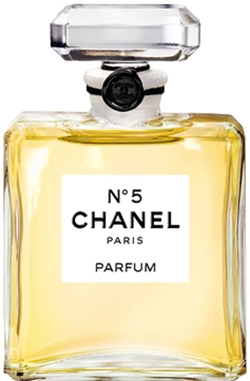 5, a floral-aldehydic fragrance whose formula requires no less than eighty ingredients. At first, the scent unfolds with a stunning surge of Ylang-Ylang and Neroli (bitter orange tree blossom). Then, a perfect harmony of voluptuous May Rose and sensuous Jasmine from Grasse emerges, followed by a vibrant woody base of Sandalwood, Bourbon Vetiver and Vanilla. 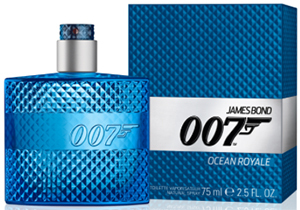 An ever-changing fragrance with no single dominant note, No. 5 boasts the incredible power of being able to be interpreted differently based on the wearer, thus revealing each woman’s uniqueness." CHANEL NO. 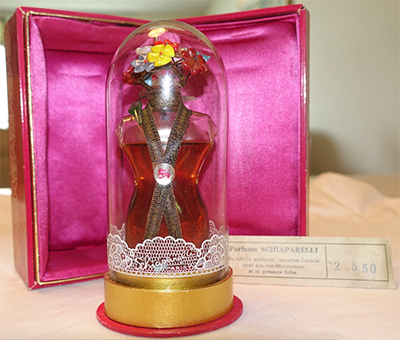 19 - "Mademoiselle's Personal Fragrance." 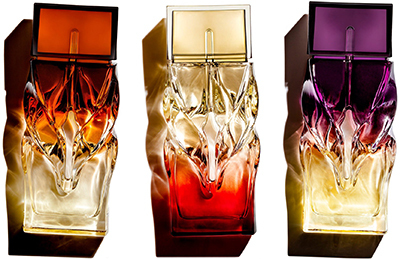 Christian Louboutin - all fragrances. CINEMA - Yves Saint Laurent. CLIVE CHRISTIAN - Private Collection. COCO MADEMOISELLE - by Chanel. COTY - founded in 1904. The world's largest fragrance company. CRUEL INTENTIONS - by Kilian. Cuir de Russie - by Chanel. Launched in 1927, is the fragrance of wild cavalcades, wafts of blond tobacco and the smell of boots tanned by birch bark, which the Russian soldiers would wear. DAISY - by Marc Jacobs. DIOR - All Women's Fragrances. EAU DES MERVEILLES - by Hermès. ÉCLAT D'ARPÈGE - by Lanvin. ELIZABETH TAYLOR BEAUTY - all frangrances. ETERNITY - by Calvin Klein. FIDJI - by Guy Laroche. FRAGONARD - founded 1926 in Grasse. 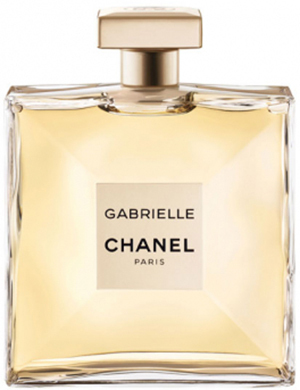 Gabrielle Chanel - "The new fragrance for women." GALIMARD - founded 1747 in Grasse. GARDEN OF STARS - by Thierry Mugler. HISTOIRES DE PARFUMS - by Gérald Ghislain. HUGO BOSS - all women's perfumes & colognes. ILLUMINUM - "The Future of Fragrance." Innovative luxury fragrance collection by Michael Boadi. IMPERIAL RUBY - by Charriol. INNOCENT - by Thierry Mugler. 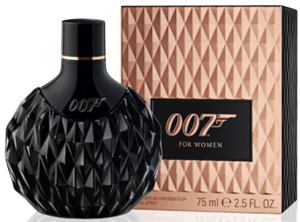 JAMES BOND 007 FRAGRANCES - the official James Bond 007 fragrances for women. JEAN PATOU - all fragrances. JICKY - by Guerlain. Since 1889. World's first mass produced perfume. 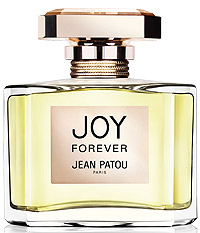 JOY - created for Parisian couturier Jean Patou by perfumer Henri Alméras in 1929. It is considered to be one of the greatest fragrances created and is a landmark example of the floral genre in perfumery. 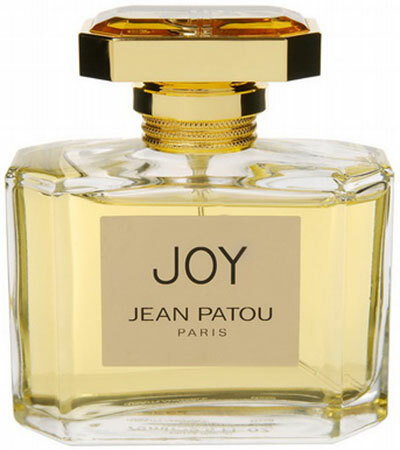 Joy is composed primarily of a combination of jasmine and rose. 10,000 jasmine flowers and 28 dozen roses are required to create 30ml of the parfum, contributing to its high retail price. KELLY CALÈCHE - by Hermès. 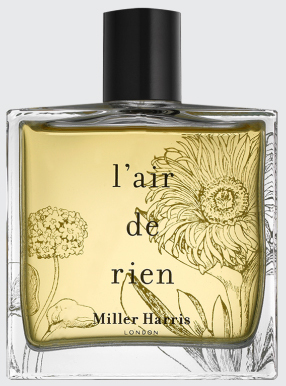 L'Air de Rien - by Miller Harris. L'HEURE BLEUE - by Guerlain. LA LUNE - by D&G. LA ROUE DE LA FORTUNE - by D&G. 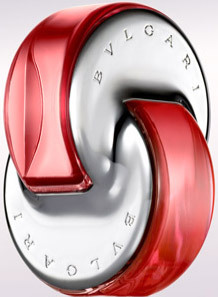 Lady Emblem - by Montblanc. All models. LADY MILLION - by Paco Rabanne. Laura Biagiotti - all models. LAUREN CLASSIC - by Ralph Lauren. Legend pour Femme - by Montblanc. All models. LIAISON DANGEREUSES - by Kilian. LILAC - eau de toilette by Norman Hartnell. 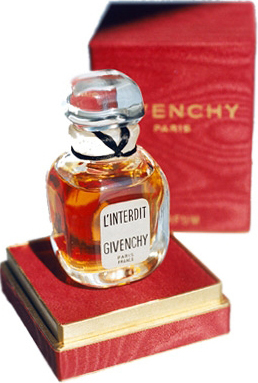 L'Interdit - perfume created in 1957 by Hubert de Givenchy for his friend, Audrey Hepburn. LOLA - by Marc Jacobs. Lorenzo Villoresi Florence - perfumery. 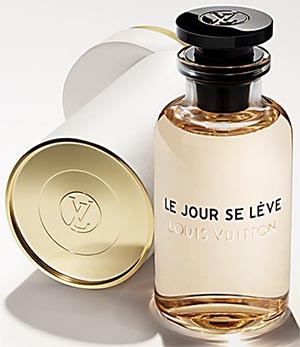 Louis Vuitton Le Jour se LÈve - "A radiant mandarin to taste the first light of dawn." LOVE - by Ralph Lauren. LOVE AND TEARS - by Kilian. Mademoiselle Chanel No. 1 - (1948-Discontinued, date unknown). MARRY ME! - by Lanvin. MERCI - 111 boulevard Beaumarchais, 75003 Paris, France. Haute bespoke parfumerie. MICHAEL KORS - "Designer Fragrance & Perfume." 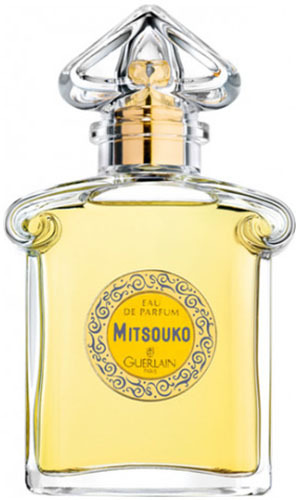 Mitsouko - created by perfumer Jacques Guerlain in 1919. The perfume has remained continuously available ever since. Its top notes include bergamot, its middle notes peach, rose, iris, clove, and jasmine, and its base notes vetiver, oakmoss, and labdanum. MOLINARD - "Parfumeur Depuis 1849." NOTORIOUS - by Ralph Lauren. 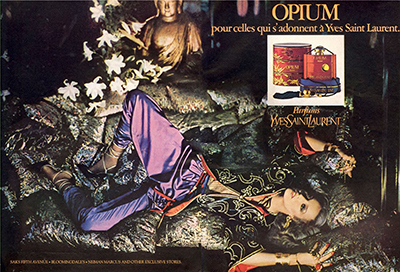 OPIUM - by Yves Saint Laurent (1977). perfume created for fashion brand Yves Saint Laurent (YSL) by perfumer Jean Amic and Jean-Louis Sieuzac of Roure, first marketed in 1977. Its top notes are a mixture of fruit and spices, with mandarin orange, plum, clove, coriander and pepper, as well as bay leaf. 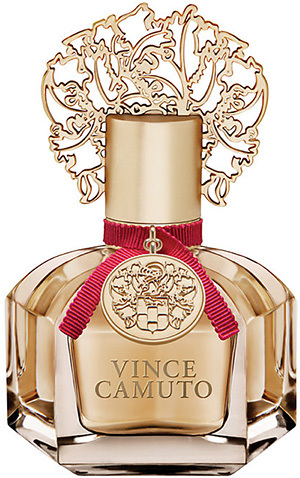 Its floral middle notes consist predominantly jasmine, rose and Lily of the Valley, in addition to carnation, cinnamon, peach and orris root. It is underlined by the sweet woody base note containing sandalwood, cedarwood, myrrh, opopanax, labdanum, benzoin and castoreum, in addition to amber, incense, musk, patchouli, tolu and vetiver. 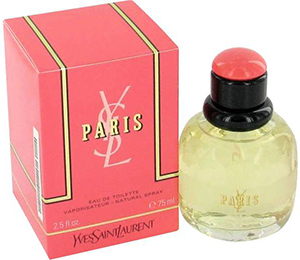 PARISIENNE - by Yves Saint Laurent. Paris - by Yves Saint Laurent (1983). PRELUDE TO LOVE - by Kilian. RADIANCE - by Britney Spears. REMINISCENCE PARIS - Reflets d'Orient. ROMANCE - by Ralph Lauren. Say The Bells of St. Clements - by James Heeley. Shocking by Schiaparelli - created by Jean Carles and launched in 1936 in France and 1937 in the USA. The perfume was said to be "first developed by Mme. Schiaparelli for her own use" according to a 1938 newspaper ad. Stephen Jones - Wisteria Hysteria perfume. STRAIGHT TO HEAVEN - by Kilian. THE DIFFERENT COMPANY - all scents. TRÉSOR - by Lancôme. "The Fragrance for Treasured Moments." Van Cleef & Arpels - First. Wisteria Hysteria - by Stephen Jones. WOMANITY - by Thierry Mugler. Y - by Yves Saint Laurent. YSL PARIS - by Yves Saint Laurent. YVRESSE - by Yves Saint Laurent.